One point bungee slings for combat vests. Ideal for lighter or shorter rifles. Allows quick fitting and removal of your rifle. Made from 1000D heavy-duty nylon with plastic buckles and sliders. Evenly distributes weight between your shoulders instead of one side of your body and neck. Allows for maximum hand free use. 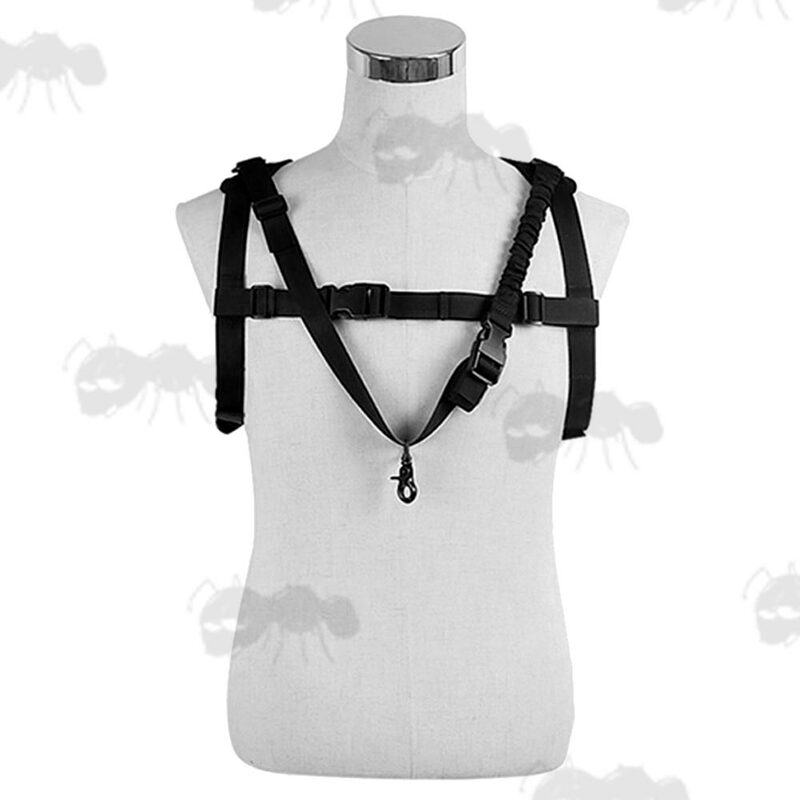 Also available ~ P90 harness slings. If you see this message, it means that your browser doesn't support iframes or they are disabled. You can access the information shown in this frame here: Sling Fittings Product Scroller.